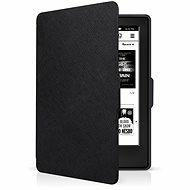 This snug and precisely designed case gives your eReader ideal protection against scratches, shocks, and dust, ensuring that your device will retain its great looks and value. The cover is made of lightweight and durable material that doesn't add unnecessary weight and thus ensures maximum comfort during reading. The device is secured in the corners, which guarantees a perfectly snug fit. For shipping to other EU countries visit this page PocketBook Cover 650 Ultra Black . Für Versand nach Deutschland, besuchen Sie bitte Pocketbook Cover 650 Ultra schwarz. Chcete doručit zboží do Česka? Prohlédněte si PocketBook Cover 650 Ultra černé. Chcete doručiť tovar na Slovensko? Prezrite si PocketBook Cover 650 Ultra čierne. 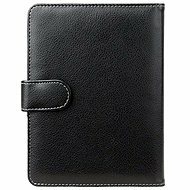 Für Versand nach Österreich, besuchen Sie bitte Pocketbook Cover 650 Ultra schwarz. 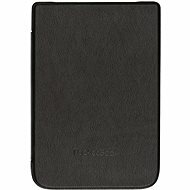 Magyarországra történő kiszállításért tekintse meg ezt a termékoldalt: Cover PocketBook 650 Ultra Black.